The Hoboken City Council could vote on the budget this week, Wednesday, April 19. Corporation Council Brian Aloia presented the budget for his department during a public hearing at City Hall. 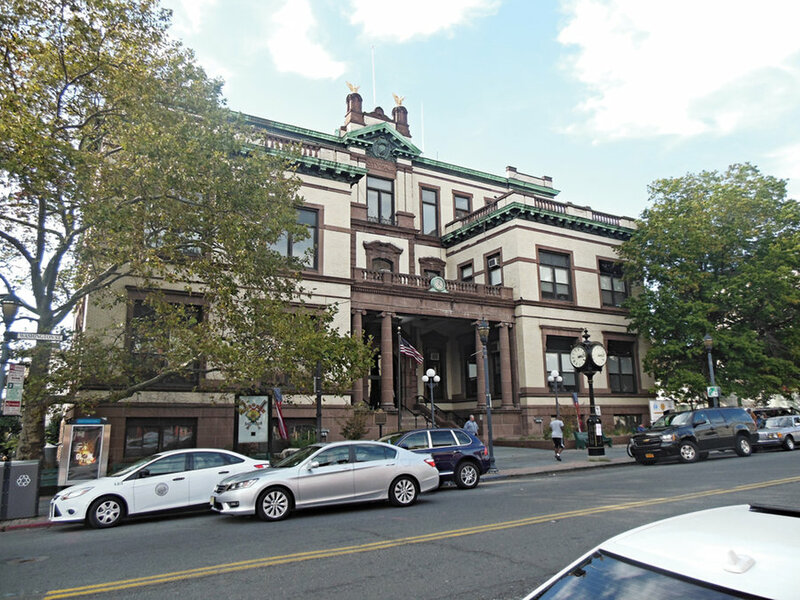 The Hoboken City Council could vote on the municipal budget as early Wednesday’s council meeting or at the subsequent meeting on May 3. The municipal budget is currently drafted at $113.2 million, slightly lower than last year’s $113.3 million. It covers spending from Jan. 1 through Dec. 31 of this year. The City Council hosted three public hearings on the budget in the form of workshops over the past two weeks, but very few residents attended. According to Councilwoman Tiffanie Fisher, chair of the Finance Subcommittee, members of the public rarely attend. During the three workshops, each department head presented their budget, answering any questions and explained their expenditures. The biggest expenditure this year is about $45.8 million in salaries and wages for police, firefighters, and City Hall employees. Another $9 million goes toward employee retirement contributions and about $22.8 million is appropriated to insurance for city employees. Last year the municipal budget was $113.3 million and five years ago, in 2012, the city council approved a budget of about $102.4 million. Fisher said Mayor Dawn Zimmer and the City Council have worked hard to trim all the “excess fat” over the years and have tried to keep the municipal budget relatively steady. Zimmer said she has worked hard with the council over the years. The city included a six-year capital plan as part of the 2017 budget. The plan, ending in 2022, totals approximately $99.9 million and includes $17.5 million for the design and construction of the Northwest resiliency park at the former BASF site, as well as an ongoing $12.5 million for the resurfacing and redesign of Washington Street and $10 million for the Southwest Park acquisition and construction. The money allotted to the projects will come from a mixture of bonds, grants, and tax money from the budget. The total amount appropriated this year for the above projects is about $23 million. The city is also investing in the water mains, up to $42 million over the next six years. This includes the $7 million water main replacement on Washington Street that is currently underway, $5.2 million for additional improvements in priority areas, and $30 million through the six year capital plan which includes an additional $5 million per year over the next six years. The municipal budget also includes $100,000 for the city’s reexamination of the master plan, about $5 million for the Public Library, as enforced by state law, and $10 million in surplus. The budget includes a slight decrease of 1.25 percent in the municipal tax rate, but asks for the same total tax levy as last year (the amount to be collected from residents, which is expected to be $53.9 million). The lower tax rate is because there is an increase in ratables, or the total value of taxpaying properties – meaning more properties are contributing, so each property owner’s rate is lower. 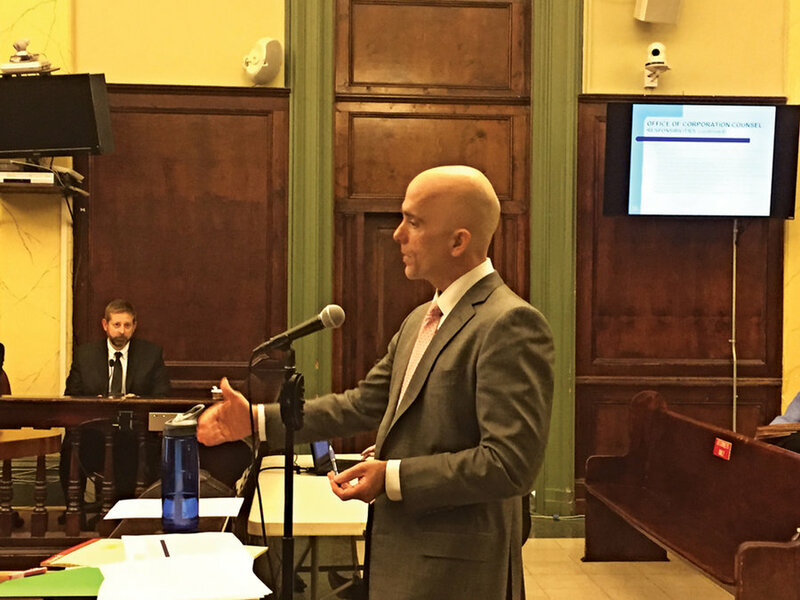 The rate cut would mean a savings of $31 a year for the owner of a property with an assessed value of $519,000, the average cost of Hoboken homes. A property owner’s total tax bill includes three main components: municipal, school, and county taxes, along with smaller components for municipal open space, and county open space. The school budget won’t be finalized until May 9 and the county budget is finalized each spring. As of now it has yet to be introduced.